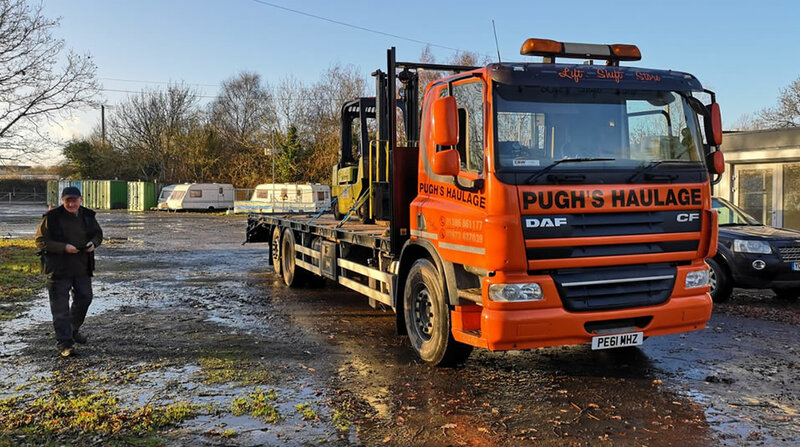 Welcome to Pugh's Haulage Ltd a long established company operating a fleet of modern HGV vehicles. 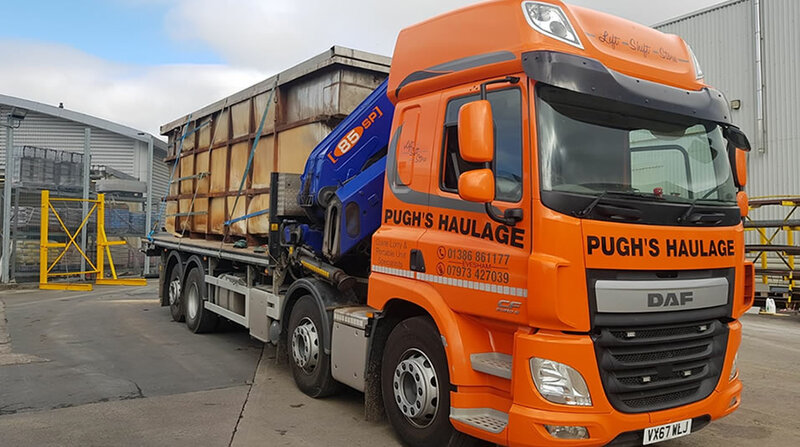 Pughs Haulage was established in 1981 hence its drivers have gained an enviable reputation and experience in this very specialised industry. 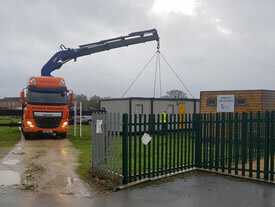 We have literally transported everything from steel fabrications, moving and installing portable cabins and on-site site cabins to shipping containers to and from the docks, gardening and building materials such as bricks, blocks, fencing, roof tiles, top soil and aggregates. 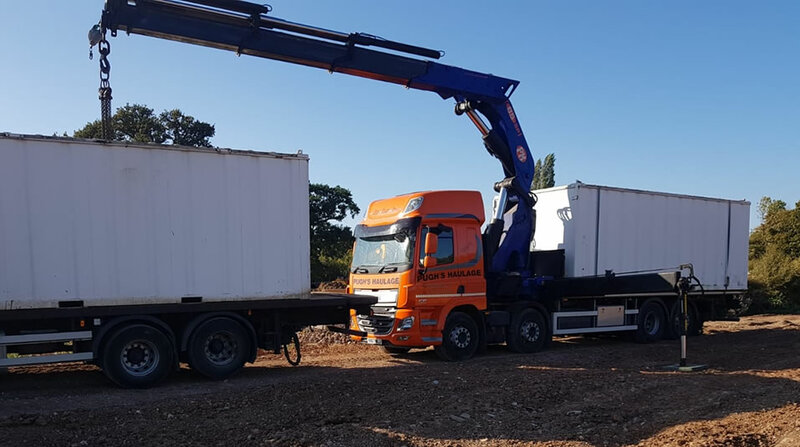 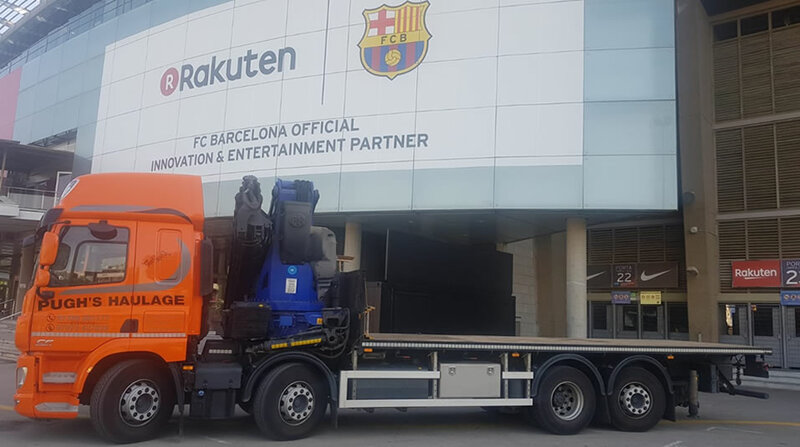 We can also relocate industrial and factory equipment and regularly move large items such as water tanks, steel girders and large concrete structures around the UK and sometimes Europe too. 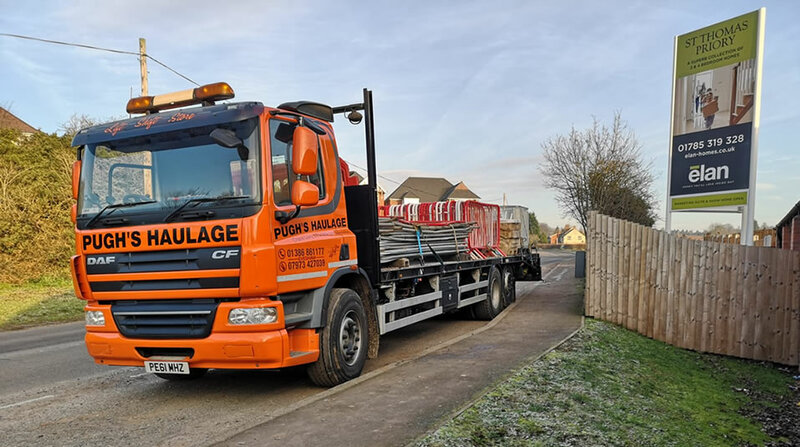 Working in transport & logistics where heavy and awkward goods need to be lifted, safety is of critical importance to us and we are fully insured for all aspects of the business. 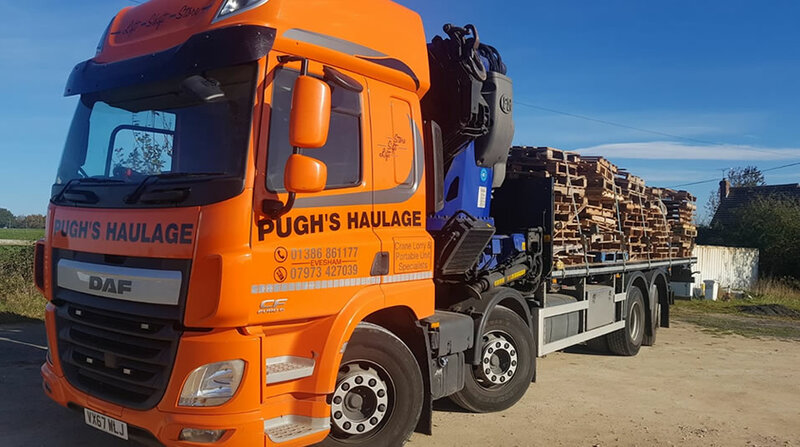 By choosing Pughs Haulage you can rest assured that you will be given a friendly, professional and highly reliable service that you would want to use time and time again. 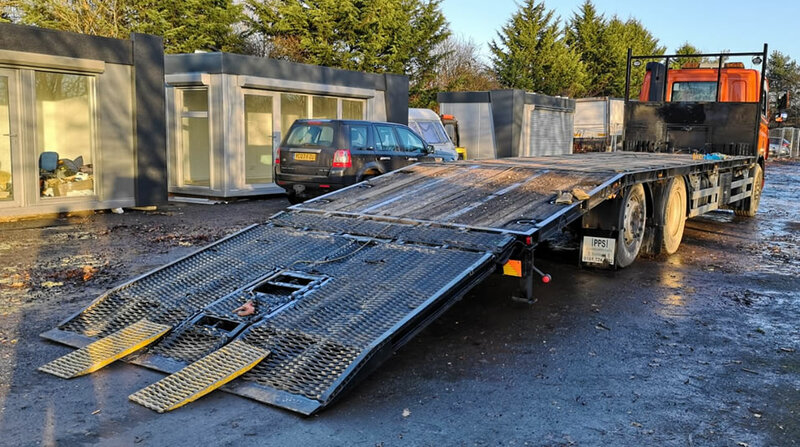 Our rates are competitive and transparent with no hidden extras. 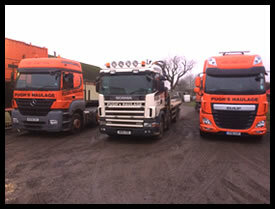 We like to take a personal approach and take care and pride in moving our clients' goods as if they were our own. 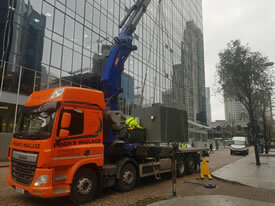 We are fully insured for all aspects of the business. 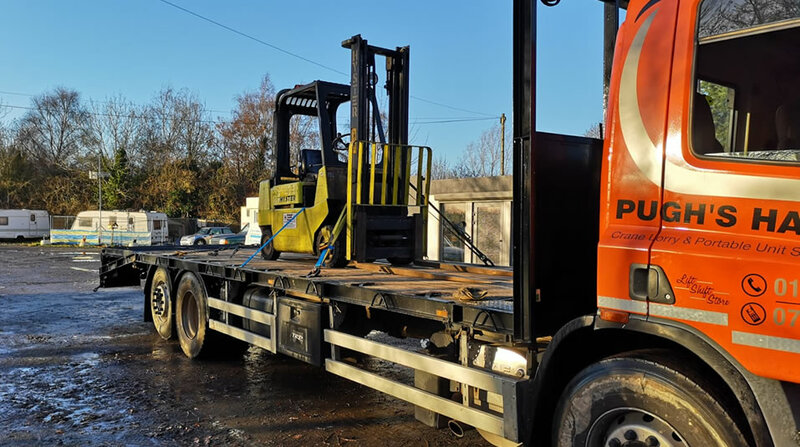 We offer a wide range of lifting solutions with our modern equipped hiab vehicles which are operated by highly trained drivers and all drivers hold a ALLMI license. 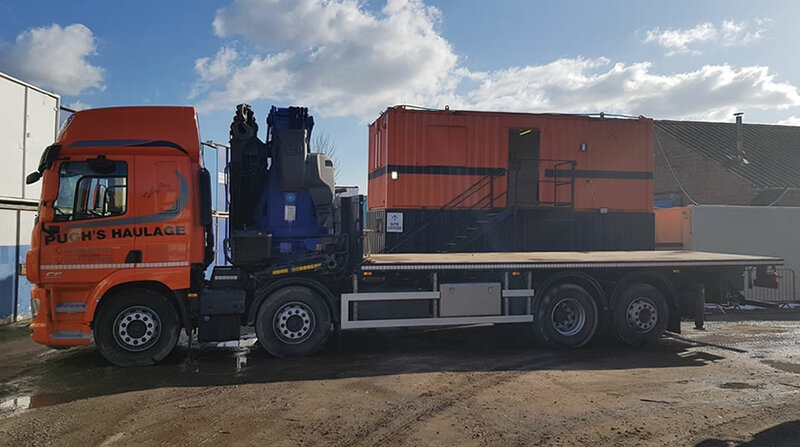 We have a range of hiabs from 50 T/M to 85 T/M lifting weights from 1 ton to 12 ton or long reach lifts lifting weights up to 4 ton at 16 metres. 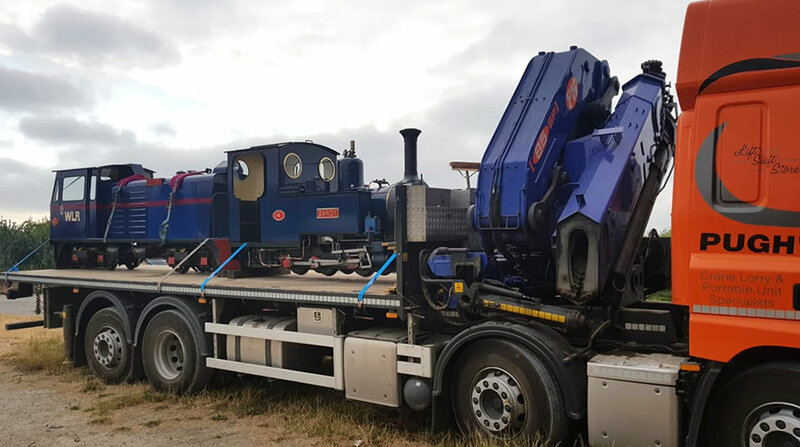 No Job too big or small, if we can lift it we can shift it.